Amazon is bringing its digital assistant Alexa into the office environment, with the company on the verge of revealing Alexa for Business. As TechCrunch reports, over at re:Invent 2017 – the big AWS event which finishes tomorrow – Amazon is expected to reveal a new business platform which allows companies to build their own skills (and use pre-loaded skills) to make life easier for employees. 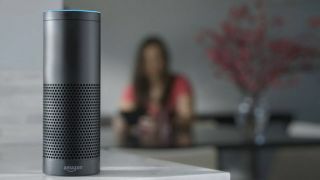 The vision is for Amazon’s smart speakers (Echo and Dot) to bring their voice-controlled chops to offices everywhere, allowing folks to easily take care of tasks like calendar management, pulling up sales data, booking conference rooms, or indeed adjusting the temperature (or turning on the lights) in those rooms. Security features are also likely to be part of the puzzle, as you’d imagine in a business setting, and that could tie in with Alexa’s recently granted ability to recognize individual voices. We will likely hear more about Alexa for Business later today over at Amazon’s big conference, as previously mentioned. We’re not sure how Microsoft will receive this news, given that the workplace is traditionally the software giant’s domain with its twin pillars of Windows and Office – and Cortana, the firm’s own digital assistant, tied in with all that. That said, these digital assistants may be able to happily coexist in the workplace (alongside others), as we’ve discussed before when news broke this summer that Microsoft and Amazon are working to get Alexa and Cortana talking to each other. The end result could be an office where all these various assistants work together, directing a user request to the particular digital assistant best equipped to deal with it. It’s certainly clear, though, that Alexa and her ilk are going to play an increasingly large part in the smooth running of businesses at a nuts-and-bolts level in the near future.